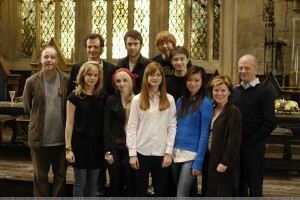 Hmmm, the height factor of Daniel Radcliffe has been a question for past few years. Though fans knew it, they never hurt him and always are cheering him up. 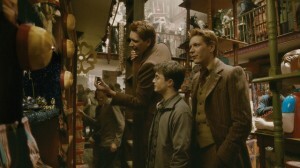 But the Harry Potter star admits that the height factor is hurting him. Daniel is 5.5 ft long, whereas all the co-star are of much height than him. Emma is about 5.6 ft long and Rupert is said to be about 5.10 to 5.11 ft long. Now, this worsens the effect on onscreen chemistry, many believe. Though Daniel is concerned about his height, he still believes that many of the greatest legends were short in height but still they have attended the greatest fame in film industry. Daniel in these words consoles himself from his height reality. Daniel added in one of his previous interviews that he is consulting Doctor about this height issue and he was told to expect to get taller till the age of 21. Boy he is nearly 20 now but is still in the same old height. Just have a peek through the following photo, you will know how height factor can damage you. Cheez, he really looks way shorter than others. Though he has attended fame throughout the world, there is something he cant achieve . You know what i meant .